The 2012 vintage provided almost perfect grapes in Washington, and produced wines that are great now and could be even better in a decade or two (or three). I AM LOATH to declare anything “the vintage of the century” or other such nonsense, but 2012 was an amazing year for Washington wine. Across Washington, the 2012 vintage was stunning — whites, reds, desserts, everything. I am seeing wines, particularly reds, that are remarkable now and likely will age blissfully for years to come. With that in mind — and with plenty of 2012s still on wine-shop shelves — now is the time to stock up. Since 2009, these have been interesting times in Washington wine country. Unlike the previous decade, which was boringly consistent from vintage to vintage, the past seven years have been a wild ride. 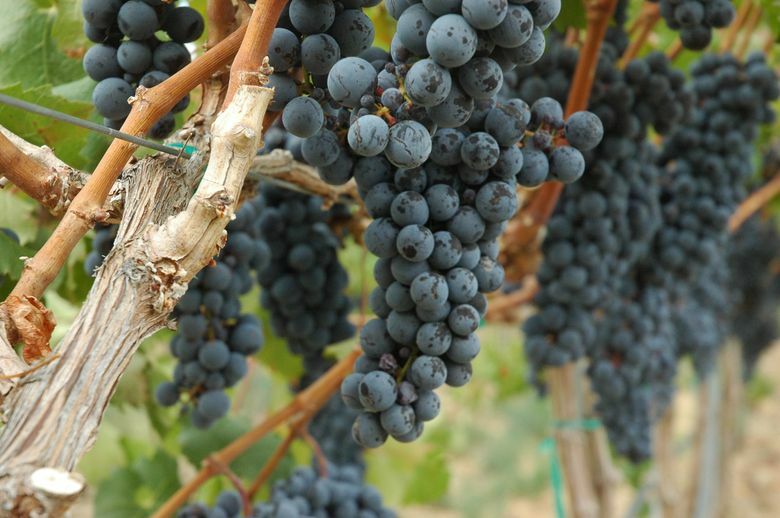 In 2009, it was a hot vintage up until Oct. 10, when an uncharacteristically early hard frost ended the growing season and forced grape growers to finish harvest in a matter of days. Chateau Ste. Michelle 2012 Cold Creek Vineyard cabernet sauvignon, Columbia Valley, $40: Washington’s oldest winery and one of the state’s finest vineyards add up to greatness. Notes of cherry, blackberry, sweet oak and dark chocolate are backed by refined tannins. Mercer Estates 2012 merlot, Columbia Valley, $24: Spicy blackberry, vanilla and floral notes delight the nose, and mouth-filling dark fruit is backed with hints of caramel, dark chocolate and smooth tannins. Doyenne 2012 syrah, Yakima Valley, $43: This succulent syrah from DeLille Cellars in Woodinville opens with aromas of cured meat and blueberry, followed by rich flavors of dark chocolate, ripe plum and black currant. Then 2010 and 2011 came along: Both were cool and cooler, testing the skills of growers and winemakers. Though less consistent, 2010s and 2011s proved worthy. The whites showed well immediately, while many of the reds are just now hitting their stride. These past three vintages — 2013, 2014 and 2015 — have been extremely warm. And while they are turning out delicious reds and whites, they likely will be higher in alcohol, lower in acidity and meant to be enjoyed in their youth. In the middle was 2012, a classic vintage that provided near-perfect grapes. Balanced fruit, acidity and tannin mean wines that are sublime now and will undoubtedly gain complexity for the next decade or two (or three). Depending on how much space you have, load up on 2012 Washington reds. Anywhere from two to 10 cases might be just about right, especially if you plan to drink them for the next 20 years or so. I would seek established producers you trust. Look for wines that tend to age, including cabernet sauvignon, cabernet franc, merlot and Bordeaux-style red blends. But don’t overlook petite sirah, malbec, sangiovese and even syrah (typically a drink-now red) from cooler areas such as the Yakima Valley. Fortified dessert wines should be spectacular in a decade or more. And even set aside a few whites, especially riesling and sémillon. Get them now. You won’t be disappointed.